As if California wasn’t already a favorite vacation spot for Americans and international travelers alike, the complete legalization of marijuana both medically and recreationally in 2016 has opened the state up to an entirely new group of travelers. Cannabis users have been flocking to states where marijuana is legalized and with all the other incredible attractions California has to offer, the state has become a prime destination for travelers seeking a new kind of vacation; a cannabis-infused getaway. The Golden State’s iconic scenery and endless adventure opportunities are only accentuated by the increase in cannabis vacations and the local economies are booming as a result of the influx in 420 tourism. The legalization of marijuana statewide has allowed new, unique businesses to open their doors in cities all across the region and many of them have become essential stops in cannabis vacation itineraries. *Note –This is a sponsored post. Where to find coupons for weed deals? Discount websites and apps for your phone are ready and waiting to help you find the best cannabis deals in your area. Sites like Your Weed Coupons have extensive codes and deals for all types of cannabis-related things, whether it be dispensary deals or cannabis deals. The company offers bargains for a number of dispensaries that service multiple areas, like GreenRush, the one-stop shop for dispensaries in 38 California cities. On this website, locals and travelers indulging in 420 tourism can get find a coupon for $20 off their first dispensary orders. You can also get an Eaze promo code to use on your next purchase and save some money and time. 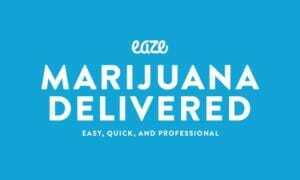 Eaze is a service that delivers medical and recreational marijuana across the entire state. So if your in your room and don’t want to brave the traffic of LA you can order right from your lodging. Tap/Click to get your promo code. If you’re feeling extra inspired after your cannabis vacation, Your Weed Coupons even has discounts and bargains for growers, both experienced and amateur. Through the website and app interface, customers can find promo codes for hydroponics, grow rooms, and LED lights. More importantly, patrons will find over a dozen seed supplier promotional codes from companies like High Supplies, Crop King, and Seed City that offer discounts on quality seeds and shipping. Any cannabis enthusiast and traveler knows the second-best part about legally smoking is all the fun and inventive ways to do so. Just like with any trip, proper planning prevents poor party; make sure you are prepared by equipping yourself with all the awesome cannabis gear you can get. By using the YWC website and app, you can get 10% off GrassCity glass and grinders or 15% off your entire order at Green Goddess Supply. Forget about traditional souvenirs and remember your adventures with useful and unique smoking accessories, purchased using one of the many amazing deals found on the YWC website. Utilizing sites like this can drastically improve your already fantastic cannabis vacation by saving you money and allowing you to enjoy day or night delivery services, in addition to helping you find the best local dispensaries and smoke shops. They can offer you insane promo codes and dispensary deals that can be used both online and at dispensary and accessory stores across California. Website and apps like Your Weed Coupon are essential tools in finding good deals on cannabis for tokers of all levels. Now you know how to get a weed deal you have can have some fun, read on!! A popular and entertaining activity for cannabis-loving travelers is the Puff, Pass franchise. All over the state creative businesses have opened, putting twists on the traditional pottery and painting classes by adding in smoking sessions. A staple in the California Cannabis Tours and for visitors going it solo, classes like Puff, Pass, Pottery and Puff, Pass, Paint are great ways to experience the open-minded culture that has become custom in most California communities, while tapping into the artsy side of their high. Smoking marijuana is all about the positive energy and relaxing vibes it gives us. It seems only natural that it be paired with a tranquil experience like Yoga. The hobbies share the same values and practitioners of both yoga and smoking weed seem to want to the same things out of their leisurely pursuits. Ganja Yoga classes are popping up all over the state of California and you can even find the very first ever cannabis inspired studio in San Francisco. This is one of those activities that is truly exclusive to places that boast 420 tourism. Ah yes, cannabis travel at its best. True marijuana enthusiasts will want to spend some time learning about the incredible process of taking the plant from seedling to selling. Popular tours like Seed-to-Sale take visitors on a journey through the modern-day steps of cultivating marijuana and introducing it into the economy. Likewise, the Haight & Ashbury Tour takes attendees back in time to explore how cannabis helped spark a cultural revolution, while enjoying the scenic and historic area. This type of education is not only fun for cannabis advocates but also plays a key role in promoting the national legalization of marijuana to visitors who will be returning home to areas where cannabis probably isn’t legalized, yet. There’s a number of other activities and tours that put a twist on the usual experiences of California by inviting Cannabis users to enjoy smoking during their ventures. Mary Jane & Music takes guests to visit dispensaries and dab lounges and then brings them to the hottest venues in Los Angeles for the ultimate music lovers experience. Similarly to the plethora of cannabis dispensary tours, Bar Crawls have given way to Bud Crawls in California; an event that brings tourists to an array of interesting smoking lounges around the community where people can sample hand-grown and carefully selected strains of marijuana grown in state of the art facilities throughout the state. 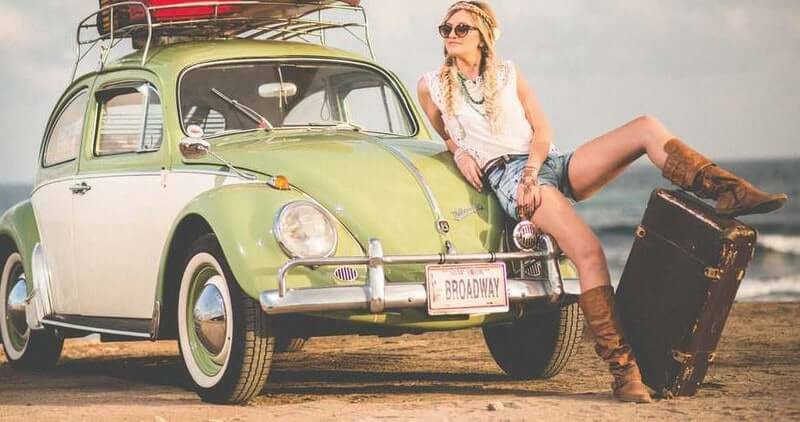 These types of activities are fantastic for vacationers who want to experience the quintessential culture of California cities, hearing stories and learning history, while still enjoying the cannabis-loving theme they came for. The California Cannabis Tours, Green Guide Tours, and other 420 tours have pre-planned trips for visitors wanting to experience the culture, but no matter the path you choose to take knowing where to find good deals on cannabis is essential to getting the most out of your visit. It’s important to remember that the provision of Cannabis is still regulated in California for the safety of everyone and so most classes, tours and events are BYOC (Bring Your Own Cannabis). You can’t show up to a Puff and Pass class empty-handed or you miss the best part of the experience, but purchasing marijuana in a state where it is so readily available can be daunting and spending a ton of money on expensive marijuana strains and accessories can seriously kill your high. Visitors will find local dispensaries are more than welcoming and knowledgeable about all the different types of cannabis and the many ways you can enjoy them, but being prepared with the best coupons you can find will make the entire process smoother. The more you save, the more you can buy!